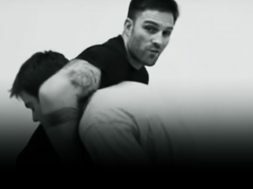 Jake “Brutal” Bostwick is taking a path through the professional martial arts world that many a fighter might well take heed of. 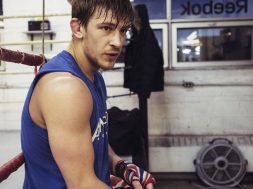 Spending his time between his second home in Miami with his American fiancé Vanessa, and his birth place of South London, the English middleweight trains with some of the world’s best. Day in and day out, Jake trains at the famous American Top Team, recently cornering his training partner, Cuban UFC fighter Hector Lombard against Johny Hendricks at UFC FN 105 in Canada, and preparing for his next bout in May with Russian promotion ACB. “Life’s all good here bruv.” You can take the Londoner out of London but you can’t take the London out the Londoner! 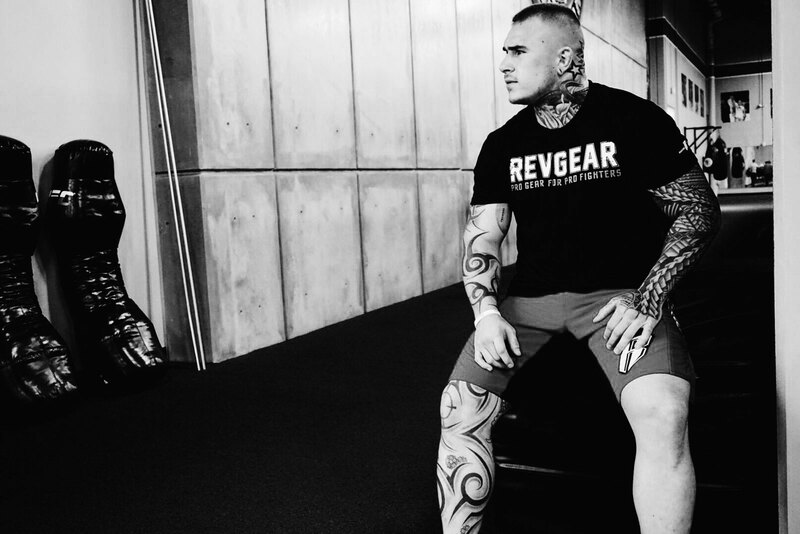 Jakes been a fan of the REVGEAR brand for a while. 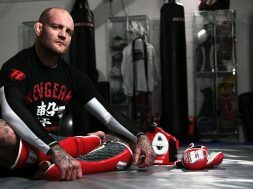 So after making it official, at the backend of last year before his crushing KO win over fellow Brit and UFC veteran Danny Mitchel at ACB47 in Glasgow, Scotland, we finally caught up with Jake for a little interview. Revgear Media: Please tell us a little about your background and your first experience of Martial Arts? Jake Bostwick: I grew up on the Ferrier Estate in South London, No complaints, it was a fairly normal upbringing I think. I did Tae Kwon Do as a kid of about 7 or 8, and then did some Judo for a while. Then I found this place doing Mixed Martial Arts on a Wednesday, so it just progressed and evolved from there. RGM: What made you turn pro? JB: It was a funny one actually. I was in the middle of my exams at 16 and I had this semi pro fight lined up. So the guy I was training under was the guy who used to own Blitz, Jason. So he got a call from Cage Rage Contenders asking if he had any middleweights, cuz they had a guy drop out. Jason calls me and asked if I wanted to do it. They were offering £100 quid or something daft like that, but I was 16 so I said, “Well I can change my date of birth on the form.” Like £100 was a lot of money to me back then. The fight allowed stomps on the ground and everything but luckily I hit him with a leg kick, then a right hand and finished him early so that was my pro debut! RGM: So moving to the present, what made you up sticks and spend so much time in the USA—aside from the weather in Miami of course? JB: I was kind of top of the class in London all the time. There’s always guys you can learn from, like my training partners Bola Omoyele and Luke Newman. But when you come to American Top Team they have so many top, top fighters and coaches, you are just immersed, spoiled almost. My main training partners, if I want to drop names, are guys like Hector (Lombard) and Joe Alvarez, but there are always great guys coming over. So it was just a choice to progress my career as a fighter that I felt I had to make and the weather is great (laughs)! 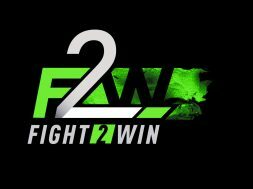 RGM: UFC LONDON is going to be a massive card for any English MMA fighter, but for a London boy born and bred, are you reaching out to them for a fight in March? JB: To be honest I’m really happy working with ACB. 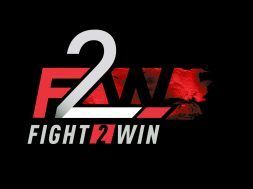 There are a lot more fighters now learning the UFC is not what it was and looking at different options. 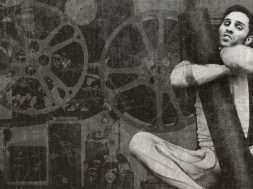 The whole scene has changed drastically in the last few years and I’m not rushing to work with anyone else right now. RGM: Outside of the gym what are your interests? 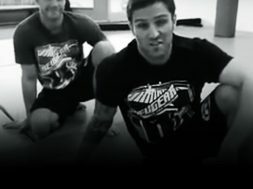 JB: I do so much training I like to put my feet up (laughs). But I really like the cinema and I’m quite into gaming. It’s cool when it’s midafternoon here and it’s night time in London, so I sometimes get to play online with my mates back home. But I like tattoos, walking the beach and just doing stuff with my fiancé. RGM: Last question and we ask every fighter this so don’t feel victimized! If you look at the top 10 in the world right now at MW, who would you want to fight, why and when? JB: I’d step into the cage with Bisping any day of the week! An all English MW Title fight would be cool but I’d scrap with him no problem. If I chose a progression it would be Mousasi, then Rockhold and finish off with Bisping. I move forward and hit hard, and think all three of them would make for interesting fights. 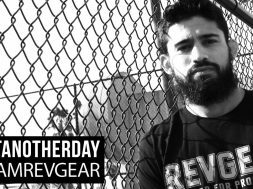 RGM: I know you’ve been using the REVGEAR brand for a while now, have you any comments about the gear or items you’d like to try? 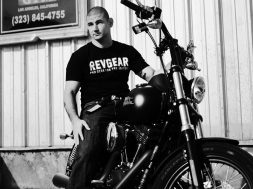 JB: The gears top notch, I only wear REVGEAR and ATT branded kit now. I always used to wear GRANT boxing gloves and would spend like £400 plus on a set of gloves. But those new S4 Lace up pro gloves look like they might change my mind, I can’t wait to try them! RGM: What’s the end game for Jake Bostwick in MMA? JB: There’s no real end game for me right now. I’m loving my life here in Miami, training at American Top Team and enjoying time with my girl. Life is good!